iTunes U makes it easy to download and subscribe to any courses you'd like. While not all courses come with assignments and material, some do. If you decide you'd like to complete assignments or want to download additional material, here's how to find out if any is available in iTunes U and download it directly to iBooks. Tap on the Catalog button in the upper right hand corner. Search for or navigate to the course you'd like to download assignments or additional material for. Just like actual classes are listed, any additional assignments or materials will be listed as well. You can see the different in the icons. Just tap on the Download button in order to download a specific assignment or additional item. Once downloaded, just tap on the Download button one more time and you'll be taken to Safari to view it. 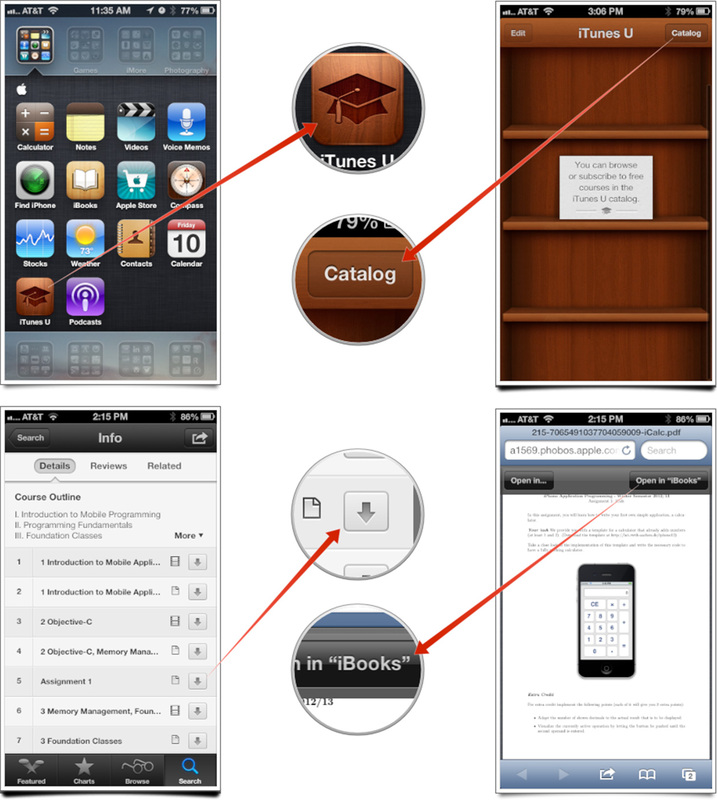 You'll have the option to save it directly to iBooks if you'd like. Just tap on the Open in iBooks option that appears across the top under the address bar. That's all there is to it. Unfortunately there isn't a way to save assignments with courses within the iTunes U app but saving them to iBooks is a means to an end and the next best thing. After you've opened the assignments and/or course material within iBooks, it'll be saved there for as long as you like and until you'd like to delete it.